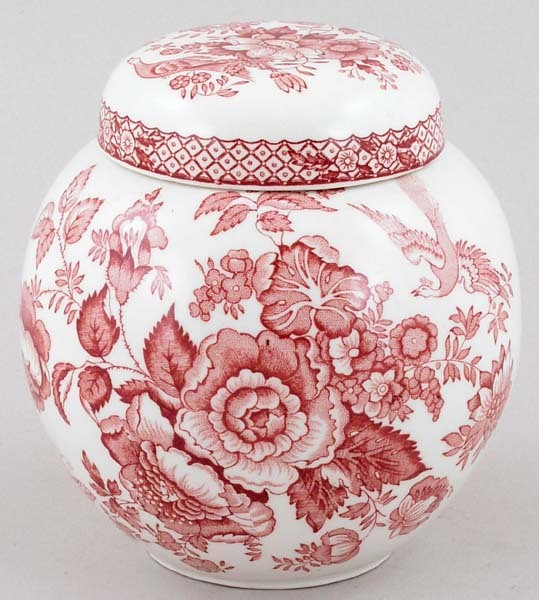 Very pretty jar with cover. Backstamp: Mason's Patent Ironstone China Stratford England Guaranteed Permanent & Acid Resisting Colours. A little light crazing and some blue smudging to the rim of the jar not noticeable when cover in site'. Cover just a little wobbly.